Congratulations to Chief Glenn Hudson! 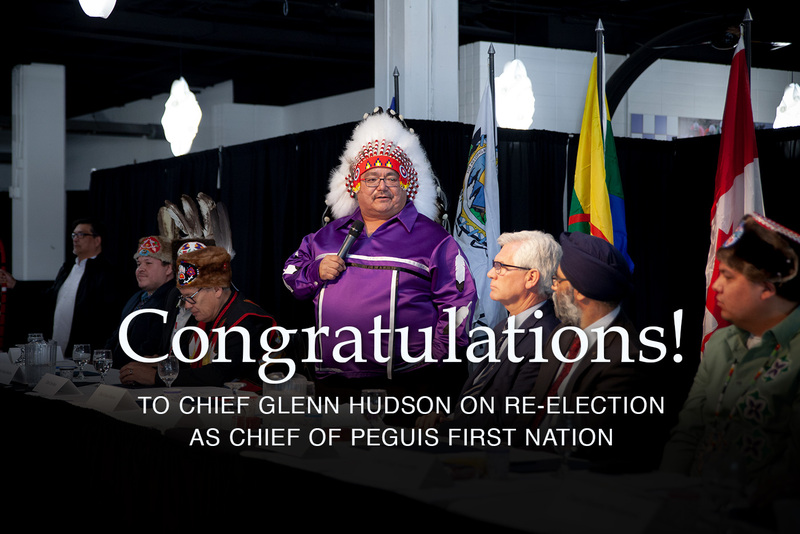 Community members have elected Chief Glenn Hudson to serve as Chief of Peguis First Nation. With the ballot count going into the early morning of Monday, April 8, 2019, members sat and watched as each ballot was announced and recorded. Members began congratulating and hugging each of the elected leadership as final counts took place. “Today, the people have chosen who they want as their leadership! I am looking forward to working with a great team over the next 4 years!” said Chief Glenn Hudson. Elected to the 6 Council positions are: Councillor Mary Tyler Bear, Councillor Annette Spence-Meeches, Councillor Glennis Sutherland, Councillor Wade Sutherland, Councillor Martin Favel, and Councillor Kelvin Charles Wilson.